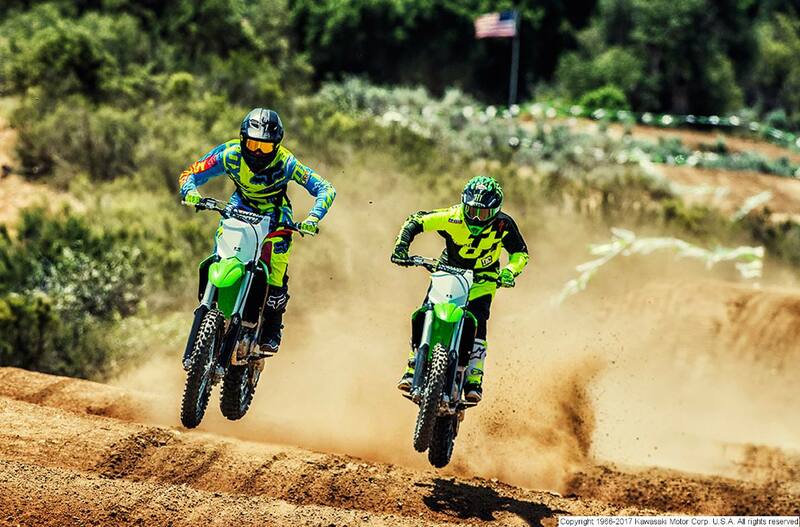 The 2017 KX450F motorcycle is the most powerful, lightweight, and agile KX450F ever. 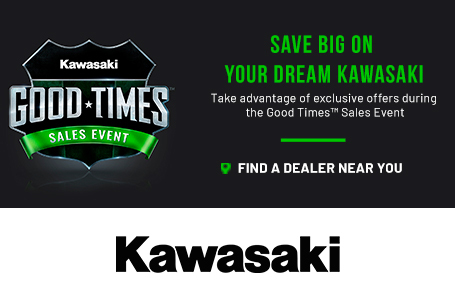 Developed from the highest levels of racing, this championship bike has advanced technology sourced straight from the world’s premier race team—another reason why the KX450F is The Bike That Builds Champions. 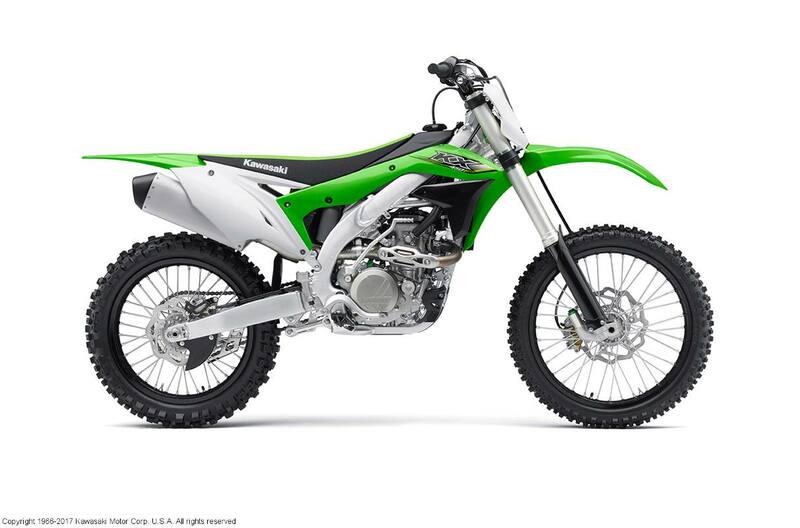 Championship-Proven Power: The 2017 KX450F motorcycle is lightweight and powerful due to innovative race-proven components. Chassis and Bodywork: The slim, lightweight, aluminum perimeter frame and revised triple clamps contribute to agile handling while a flat seat profile and integrated bodywork facilitate easy rider movement and a championship fit. 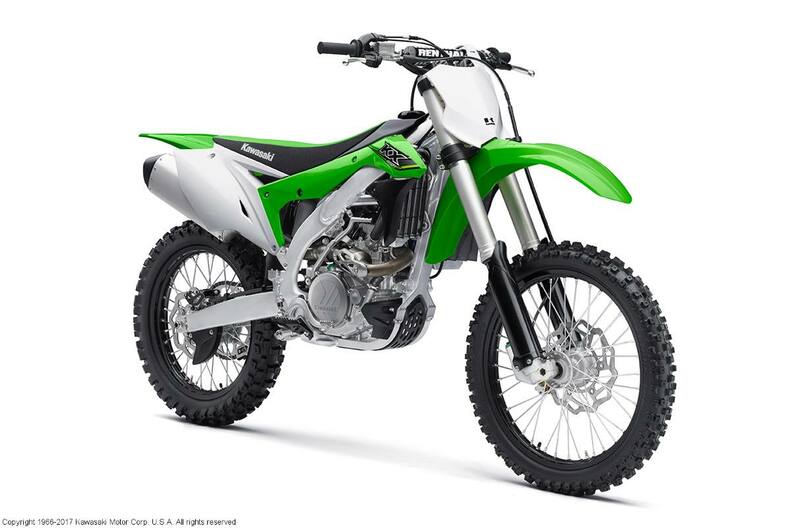 Advanced Fuel Mapping Technology: The KX450F motorcycle features several advanced ignition and fuel-mapping systems for precise adjustability. Front Suspension / Wheel Travel: Inverted Showa SFF-Air TAC fork with Triple Air Chamber, DLC coated sliders, 22-position compression and 20-position rebound damping adjustment / 12.0 in. Rear Suspension / Wheel Travel: Uni-Trak® linkage system and Showa shock, 19-position low-speed and 4-turns high-speed compression damping, 22-position rebound damping and fully adjustable spring preload / 12.0 in. Rake/Trail: 28.2 deg. / 5.0 in.